American rapper, Coolio and his bodyguard have been arrested at the Los Angeles International Airport for carrying a stolen loaded gun. The incident happened on Saturday, September 17, 2016. He was taken into custody at the Los Angeles Police Department Pacific Division Jail, Us Magazine reports. Speaking about the incidence, an LAPD public information officer said, "On September 17, 2016, at approximately 10:50 a.m., Los Angeles Airport Police responded to Terminal 3 for a report of a prohibited item at TSA screening." "Upon arrival, airport police immediately took possession of a carry-on bag in the X-ray screening belt and detained a 39-year-old black male [the bodyguard] who claimed possession of the bag." 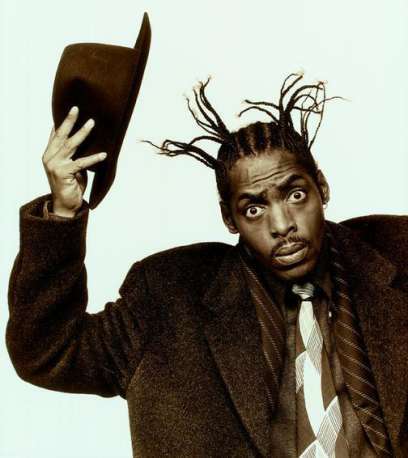 After a brief investigation, airport officers discovered that the bag were personal items belonging to Coolio, who had already boarded an aircraft. He was subsequently removed from the aircraft and taken into police custody.